Jacob Eisenberg explains why Lance Thomas’ recent lawsuit should raise serious questions about Duke’s integrity. When reports surfaced in 2011 that former Oklahoma State Wide Receiver Dez Bryant had received thousands of dollars worth of jewelry on credit during his college career, Oklahoma State quickly agreed to help the NCAA investigate Bryant’s case. The NCAA’s code of conduct forbids college athletes from receiving gifts or benefits for their high-profile status and Bryant clearly broke it. Kevin Fite, the Associate Athletic Director at Oklahoma State stated, “Receiving benefits or loans based on potential earnings is a violation. We’re going to look at it, and any information we need to provide to the NCAA, we will.” Despite the investigation’s negative attention toward the university, Oklahoma State chose to fix the mistake rather than cover it up. Now, one year after Bryant’s allegations surfaced, Duke University faces a similar scandal. 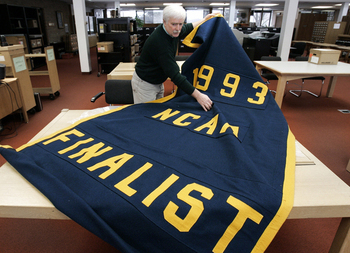 This time, however, the university in question has been anything but cooperative with the NCAA in fixing the mistake. Potentially with good reason too: if the NCAA undergoes an investigation of Lance Thomas’ jewelry acquisition from 2009 and it is revealed that he received the jewelry on loan because of his celebrity status, Duke’s 2010 National Championship would have to be removed from the rafters of Cameron Indoor Stadium. While the fear of having their championship vacated appears to be enough good reason for the university to stay hush on the scandal, the university’s unwillingness to help the NCAA investigate suggests that Duke could know more than they are letting on. Mike Krzyzewski, affectionately known as Coach K, has always been in a class of his own in terms of respect from fans and peers. He built Duke’s prestige by demanding integrity and by exuding his unwavering confidence, which suggests he is the best leader in collegiate athletics today, “I don’t look at myself as a basketball coach. I look at myself as a leader – who happens to coach basketball,” Krzyzewski famously said in a national American Express commercial from 2005. Unfortunately now, in a time when there is probable cause for the NCAA to investigate Duke with more scrutiny than it has in years, Krzyzewski’s integrity and leadership have been nowhere to be found. Instead, Coach K is hiding from the negative publicity hoping for the entire controversy to blow over quietly. Had Lance Thomas paid his loan back in a timely manner, or just simply complied with NCAA rules, Duke would not be facing any scrutiny right now. Instead, official court documents state that the New York jewelry company, Rafaello and Co., sold Lance Thomas nearly 100,000 dollars worth of jewelry in Thomas’ senior season at Duke. The document also states Thomas paid 30,000 dollars upfront and was given the remaining 67,800 dollars worth of jewelry on loan. For the jewelers, Thomas represented a future NBA player with celebrity potential to market with. Giving Thomas jewelry on credit seemed like a safe investment as he was only a year away from making millions of dollars playing basketball professionally and could help spread the company’s name to teammates immediately. Unfortunately for the company, the transaction completely broke the NCAA’s code of conduct. Had the NCAA discovered the transaction at the time of the purchase in 2009, Thomas would have been ruled ineligible for his senior season. Still, Duke has not necessarily gotten away with anything. 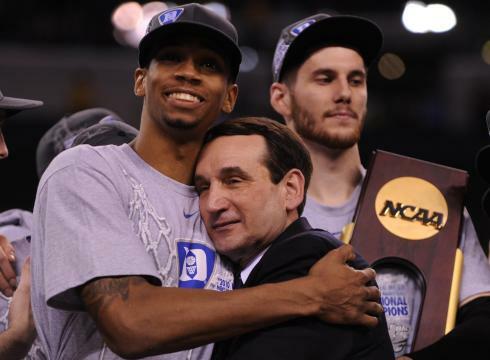 Because Thomas was instrumental in leading his team to the 2010 National Championship – months after acquiring the jewelry – an NCAA investigation of the transaction could mean a vacation of Duke’s banner and championship. Potentially even more devastating to Duke in an NCAA investigation would be the findings of where Thomas, an amateur college student from a single mother household, got 30,000 dollars to spend on jewelry in the first place. Is it possible Krzyzewski does not want an NCAA investigation of the Thomas transaction because it may actually uncover a laundry list of Duke players who have received large sums of cash from university boosters illegally? As the controversy stands right now, Thomas is the only person accused of wrongdoing at Duke. Coach K is free from the Thomas controversy because it is assumed that he knew nothing about the transaction and would have suspended Thomas himself had he known. However, if the scandal is investigated and it is revealed that Coach K knew where Thomas’ mysterious 30,000 dollars came from, then Krzyzewski and the university could face deep implications. After all, common sense points to Thomas having acquired the 30,000 dollars from an illegal booster. If this is the case, it is all but certain that someone at Duke before him was also given thousands of dollars from an illegal booster to spend freely. Punishment for illegal boosters in the NCAA has plenty of precedence. In the early 1990s, boosters gave thousands of dollars to Chris Webber during his time at Michigan. The NCAA’s investigation of those improper benefits resulted in Michigan seeing both of their Webber-led Final Four appearances vacated. All the NCAA needs in order to investigate the Thomas scandal is cooperation. Unfortunately, both Thomas and the jewelry company are unwilling to talk to the NCAA about the investigation. Both parties have reached a settlement to the court order and within the settlement, the jewelry company agreed to refuse compliance with the NCAA. Regardless of both parties’ lack of cooperation, the informed general public is beginning to perceive Thomas’ insistence on keeping quiet as an admittance of wrongdoing. Perhaps more importantly, the university’s silence could be an admittance that Coach K’s holy program at Duke is not as pristine as we have been led on to believe. Until Duke opens its doors to an investigation, the 2010 National Championship – at the very least – should be marked with an asterisk. Posted in NCAA Men's HoopsTagged 2010 National Championship, Blue Devils, Cameron Indoor Stadium, Carmelo Anthony, Chris Webber, Coach K, Dez Bryant, Duke, Kevin Fite, Krzyzewski, Lance Thomas, NBA, Oklahoma State, Rafaello and Co.